Jazz writer Kevin Legendre explores the encounter between American modern jazz and the French New wave in Paris in the late 1950s and 60s. Paris in the civil rights era was a hub of artistic collaboration as well as a kind of political refuge – a destination for American jazz musicians escaping racial prejudice and turbulence at home, finding new creative encounters abroad. 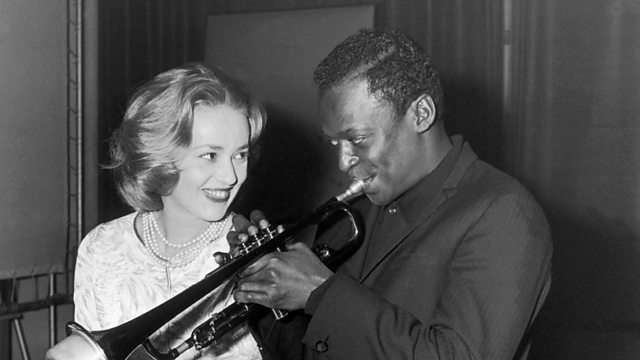 The admiration was mutual – French cinephiles loved American jazz. The film score became a key area of collaboration as jazz musicians worked closely with a younger generation of radical directors that made up the French new wave. These scores elevated French films to new levels of intensity, cool and atmosphere. Some of the musicians’ great but little known work is recorded in these movies. But underlying the beautiful work, this story is one of political exile as well as cultural refuge. For a moment Paris became a jazz capital of the world as well as the free-thinking centre of Europe – a rebuke to prejudice in America, even as it had growing racial tensions of its own. Recorded in and around the city, Kevin Legendre meets musicians, filmmakers and writers to explore this incredible moment of exile and exchange, and asks if Paris is still the city of freedom and tolerance it once was for Black artists. Guests include jazz singer Dee Dee Bridgewater, film director Bertrand Tavernier, composer Martial Solal, jazz writer Geoff Dyer, historians Kevi Donat and Ginette Vincendeau, bass player Henri Texier and playwright Jake Lamar.